Excellent Location in friendly Moon Valley where neighbors socialize happily and Country Club is steps away. 2 Large Bonus/office/suite/master Rooms, one w/full bathroom/tub with jets. Waterfall pool with Pentair system. 2016 new windows and roll-a-shield and auto sun shades. 2014 Remodeled kitchen w/KitchenAid Stainless Steel Appliances, gas cooktop and granite countertops & island. Recessed lights, smooth ceilings. Gas fireplace in family room spilling unto well-built covered flagstone patio. Electrical Power Galore! RV Gate. BBQ grill and lawn. Non-skid 3-coat epoxy Garage attached loaded w/storage cabinets + Separate air conditioned shop/office/suite + Separate 1.5 C Garage for boats, toys, etc. **Moon Valley Proper Neighborhood w/OPTIONAL HOA & Golf/Fitness/Social Memberships. Directions: North on Hana Maui to great big home with perimeter yard fence on the left. Full pool update in 1998. Approximate size: 12673.00 sq. ft. Please, send me more information on this property: MLS# 5854114 – $525,000 – 14820 N Hana Maui Drive, Phoenix, AZ 85022. 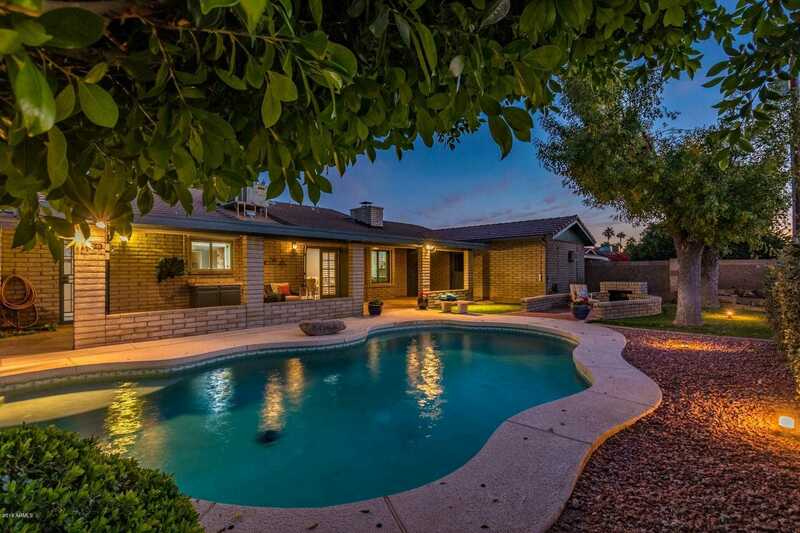 I would like to schedule a private showing for this property: MLS# 5854114 – $525,000 – 14820 N Hana Maui Drive, Phoenix, AZ 85022.